Buried at Salonika (Lembet Road) Military Cemetery. Information has been forwarded of the death of Private James Rothwell (44), second son of the late Mr. Wallwork Rothwell, of the Red Lion Hotel, Haslingden. Since the family left the Red Lion Hotel the deceased, who was a single man, had lived with his brother, Mr. John Rothwell, at 190 Blackburn Road. 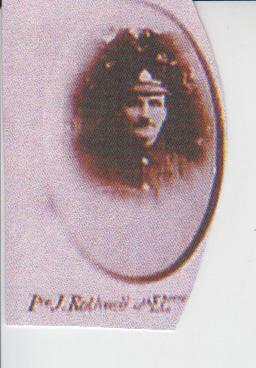 He enlisted in September, 1914, and had been out in Salonika. A month ago his brother received a letter from him saying he had never had a day's illness since he went out, though there was sickness all round him. A week afterwards his sister received a letter from him saying that the officer, to whom he was servant, was ill, and would have no other attendant but him. He has died from illness.